3 Bdrm Semi-detached Dwellhouse. Ground flr: Hall. Lounge. Kitch. V/bule. Bdrm. Bathrm. V/bule. 1st flr: 2 Bdrms. Shower rm (CT band - A). Garden. Price over £115,000 Entry by arr. Viewing 07902 921 043. (EPC band - D). 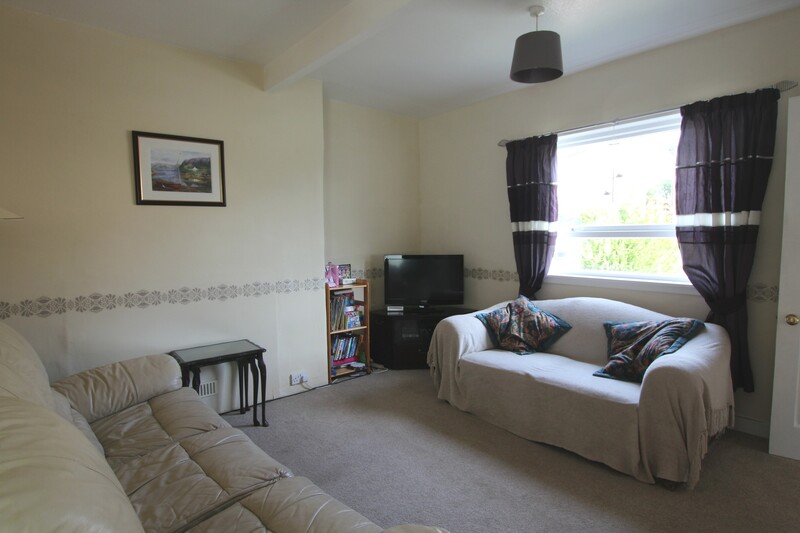 This is a three bedroomed semi-detached dwellinghouse which is within walking distance of the town centre. 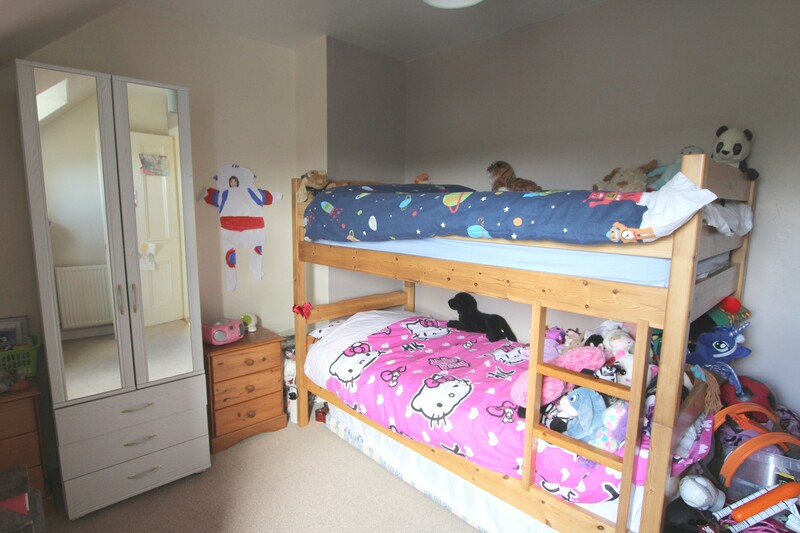 The property is fully double glazed and served by way of mains gas central heating. The accommodation comprises:- Entrance Hall, Lounge, Kitchen, Rear Vestibule, Bathroom and Study/Bedroom on ground floor with two further Bedrooms and Shower Room on the first floor. There is garden ground to the front and rear of the property and also a small Outbuilding. HALL With front door, fitted carpet and central heating radiator. LOUNGE (14’ 3” x 12’ 7”) With understair cupboard, fitted carpet and central heating radiator. 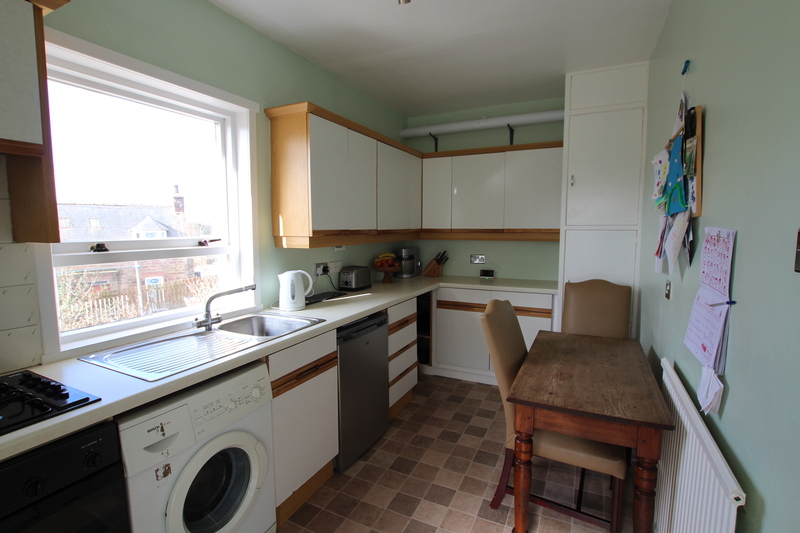 KITCHEN With fitted units at eye and floor level, one housing the central heating boiler, worktop space incorporating stainless steel sink, gas hob with electric oven below, plumbing for washing machine, vinyl flooring and central heating radiator. REAR VESTIBULE With two cupboard providing storage space, vinyl flooring and back door. BATHROOM With traditional white three piece suite, tiled splashbacks, vinyl flooring and central heating radiator. 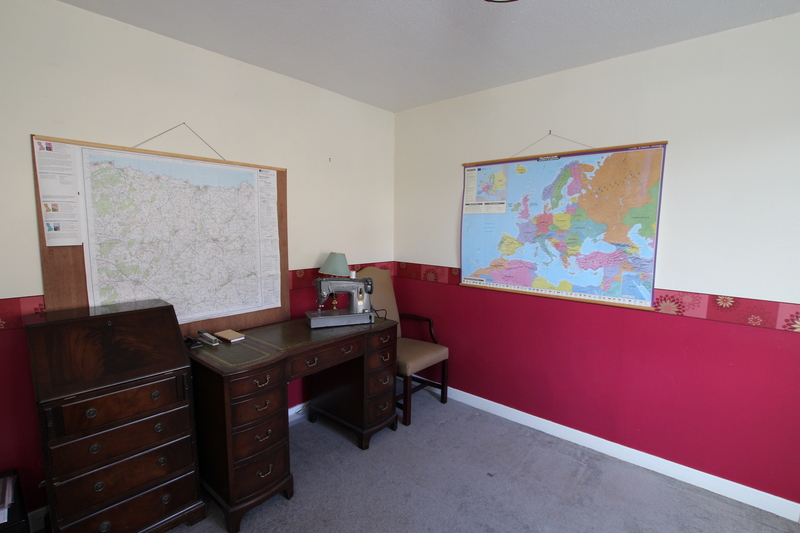 BEDROOM/STUDY (11’ 5” x 11’ 1”) Currently used as a study with two windows, fitted carpet and central heating radiator. UPSTAIRS A fully carpeted staircase in the hall leads to the upper floor accommodation. UPPER LANDING With fitted carpet, central heating radiator and hatch to loft space. BEDROOM (12’ 11” x 9’ 2” at widest point) With fitted carpet and central heating radiator. 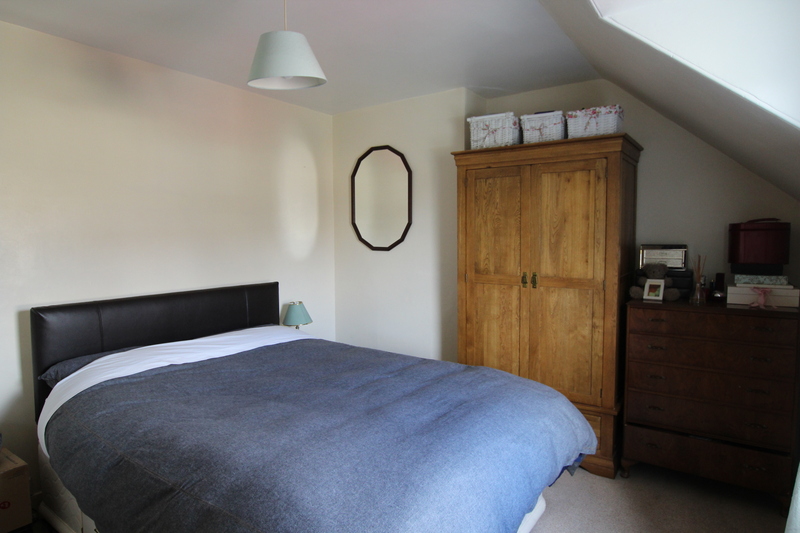 BEDROOM (14’ 3” x 10’ 7”) With built in cupboard, fitted carpet and central heating radiator. SHOWER ROOM With wash hand basin, WC, fully tiled shower cubicle with shower operating off hot water system and vinyl flooring. GARDEN GROUND The garden ground to the front of the property has been laid out to grass with shrub borders. There is a small patio to the rear of the property and also a small outbuilding to the side of the property. SERVICES Mains water mains drainage, gas, electricity and telephone installed. GENERAL INFORMATION The property is double glazed and has mains gas fired central heating. ITEMS INCLUDED All heritable fittings and fixtures are included as are all carpets and light fittings. 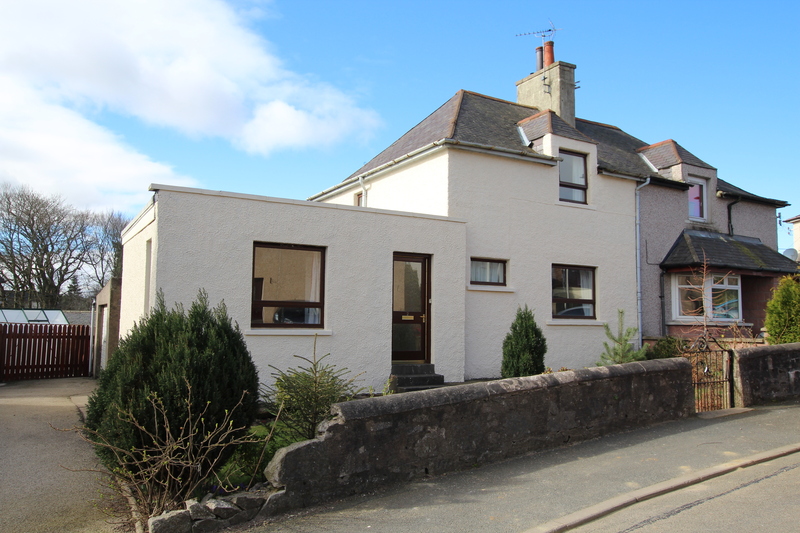 LOCATION The property lies within the town of Turriff. Turriff itself is a thriving town with a population of approx.. 5,000. It has Primary and Secondary Schools and a good range of Shops and other well supported facilities including Swimming Pool, Bowling Stadium, Library, Community Centre, Sports Centre, Golf Course and fishing on the River Deveron. Aberdeen is 35 miles away.